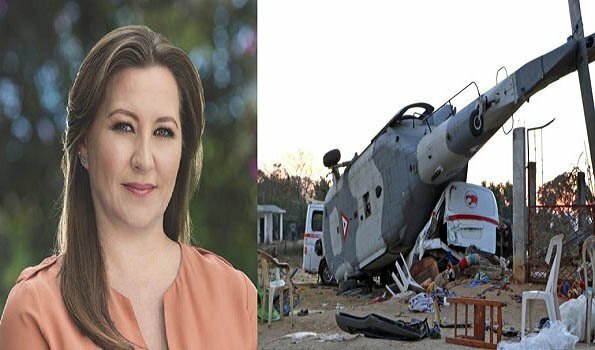 Mexico City: Martha Erika Alonso, the governor of the Mexican state of Puebla, died on Monday in a helicopter crash, local media reported on Tuesday. According to Mexico's Televisa TV channel, the governor was aboard the helicopter with her husband Rafael Moreno Valle Rosas, who used to serve as governor of Puebla in 2011-2017. Moreno Valle also died as a result of the accident, the broadcaster added. The helicopter crash was earlier reported by Mexican President Andres Manuel Lopez Obrador, who entrusted the government with responding to the situation, sputnik reported.The Mexican president has also expressed condolences to the relatives of the deceased couple. "I personally express my deepest condolences to the relatives of senator Rafael Moreno Valle Rosas and his wife, State of Puebla governor Martha Erika Alonso. I commit myself to investigate the reasons [of the crash], to tell the truth about what happened and to act accordingly," the president wrote on his Twitter blog.